Little League Baseball and Softball is an organization designed to build good citizens. It is a program of leadership, preparing today's youth to be tomorrow's leaders. Byron Township Little League relies on a devoted legion of adult volunteers to help ensure that the organization remains structured and runs smoothly. BTLL is always looking for responsible and enthusiastic individuals to support and coordinate Little League events and activities. As a volunteer, you should have a keen interest in the safety, well-being, and overall development of children. By reading further, you will discover that the benefits of volunteering are endless. You will also gain a better understanding of why you should become involved, who volunteers are, what you can do, and how you can sign up. All parents of children involved in Byron Township Little League are strongly encouraged to volunteer. As a parent volunteer, you have the opportunity to spend quality time with your child in a safe, fun-filled environment. Oftentimes, parent and child social lives parallel each other. Volunteering allows your life and your child's life to intersect on common ground, with shared interests and goals. Parents, take a minute to fill out the volunteer form while registering your child. If you are not a parent and would like to volunteer, or if you didn't complete the volunteer form during registration, take a minute to fill out the form here. No experience is required to become a volunteer. 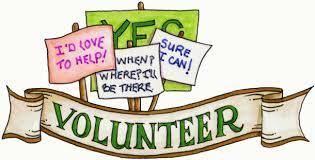 Most of the volunteer opportunities require little or no training. Byron Township Little League will provide you with any necessary training (as well as support and encouragement), as they deem necessary. The best volunteers are those who are able to bring added enjoyment to the game simply by being themselves. What you see during Little League games is a mere fraction of what you can do as a volunteer. You can volunteer to help in virtually any aspect of Little League Baseball or Softball!